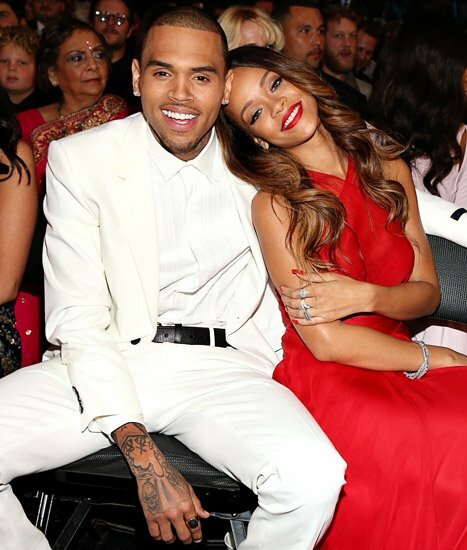 Chris Brown and Rihanna’s romance appears to have soured just days later after they looked happy at the Grammys. It appears that the couple refused to acknowledge one another after both arriving at the Playhouse Nightclub in Los Angeles on Wednesday night. Rihanna didn’t know that Chris Brown was expected at the same event, revealed the source. When VIP hosts asked Rihanna if she would like to be seated with her boyfriend, she declined and demanded to be put somewhere else. “Rihanna refused to sit with or even near Chris – and when Chris noticed she was there, he made a huge show of rubbing his presence in her face,” said a source. Rihanna and Chris Brown had arrived separately at the Popular Demand’s 1 Year Anniversary event, and left without each other at the end of the night. Chris Brown arrived at the celebrity hotspot around midnight, armed with a crew of around 20 people. Rihanna entered the club half an hour later, accompanied by her group of bodyguards. The singers never once communicated with each other during the course of the evening as they sat across the room from one another, said the source. Chris Brown left the club around 2.15 a.m. in a metallic grey Lamborghini, wearing his hoodie over his baseball cap. Rihanna made it a late night, leaving closer to 3 a.m. The chilly atmosphere between the stars is a far cry from their loved-up appearance as they sat side by side in the front row at the Grammys. Then the two snuggled up to each other, smiling and laughing together as they took in the show. Rihanna also wore a diamond ring on her left ring finger during her performance onstage, fueling speculation that the pair plan to tie the knot. But their reconciliation has not been without drama. Rihanna’s former best friend Katy Perry has reportedly stopped speaking to her following her reconciliation with Chris Brown, who is still on probation for beating her in 2009.